How do setup email notifications on my mydlink camera? Note: If you are using gmail as an SMTP server, you may need to enable "less secure apps" on the account you are using as "sender". For instructions click HERE. 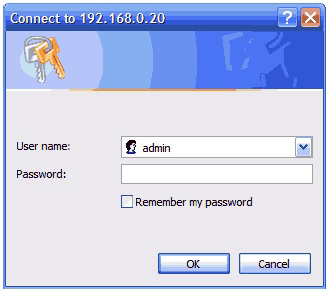 SMTP Server Address: This is the domain name or IP address of your external e-mail server (e.g. smtp.gmail.com). Note: If the above information is not entered correct, this feature will not work. Please check with your email provider for the correct settings. 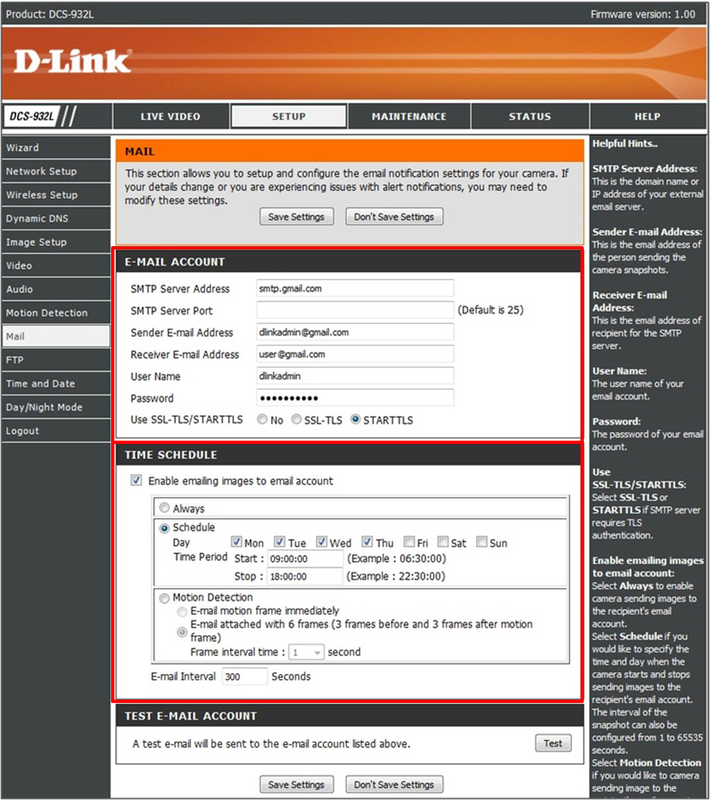 Step 4: Enable e-mailing images to email account: Choosing Always will start sending snapshots to the recipient''s e-mail account right away. Choosing Schedule will allow you to schedule when to start and stop the sending of snapshots to the recipient''s e-mail account. Step 9: Click Test: This will send a snapshot to the e-mail account that you have configured in the E-mail section. If you have configured the SMTP account correctly, you will be able to send a test file to the e-mail account of the recipient. Step 10: Click Save settings.